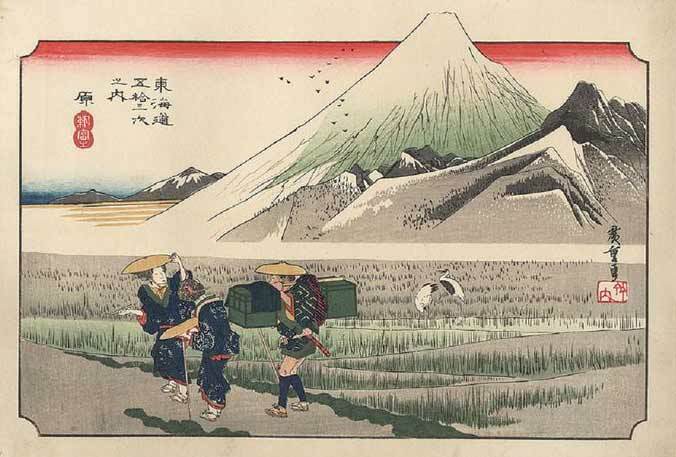 Home | Posts tagged "prints"
The works of Utagawa Hiroshige, one of the leading exponents of Japanese art, are displayed in exhibition at Palazzo Grimani – Venice, from September 20th until January 11th. I went to visit the exhibition (I’ll talk about the exhibition soon in this blog) and I would like to share with you the story of ukyo-e and its origins. I hope it can be interesting and I also hope to offer you some ideas or simply give you informations that you did not know. This article is divided into three parts, this is the first one. The Ukiyo-e is a kind of Japanese xylographic Art Print. Since it is made through the impression of multiple wood matrices in a single subject (each matrix prints at least one color), it shows a wide variety of tones and shades of colors. The term Ukiyo-e literally means “image of the floating world“, a world that is constantly changing. The word is also an allusion to the homophone term “world of suffering”, the continuous cycle of death and rebirth, which Buddhists try to avoid achieving enlightenment. The rudiments of printing come from China in the Middle Ages and have their first spreading among Buddhist monks. The genre takes its connotation in the Edo period (1600) thanks to the spread of the merchants, the creation of picture books and posters of the Kabuki theater. It was originally used only Chinese ink in monochrome prints, later some prints were hand-painted, till when Suzuki Harunobu, in the eighteenth century, developed the technique of polychrome printing to produce nishiki-e.